Stuart Fl Home Search. Looking for Stuart FL Homes and Stuart Florida Real Estate? Search new Stuart real estate listings daily. Homes for sale in Stuart Florida. Stuart Fl Home Seach includes a small, but beautiful, coastal town in Martin County. Despite its modest size, this community has made a name for itself in Florida. Today, the city is known for its friendly community, abundance of outdoor activities, and relaxed coastal feel. The city of Stuart is perfect for anyone who wants all the amenities of a coastal city, without the rushed pace. Real estate in Stuart is diverse, with something to fit many residents’ budget and lifestyle. There are condominium and apartment communities, such as Towne Park, which offer great amenities and convenient locations. Single-family homes with waterfront views are available, offering luxury amenities like private docks and beachfront access. Homes in Stuart come in such a range of styles and sizes, you will be sure to find the perfect match for you and your family. As with many coastal communities, some of Stuart’s best recreation takes place on the water. For those who love to fish, there is no shortage of the sport just minutes away from your Florida home. 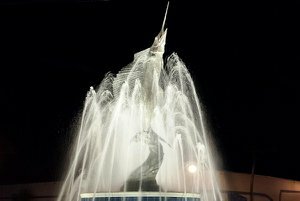 The town has been hailed as Sailfish Capital of the World. There are a number of seasonal fishing tournaments throughout the year for a number of different catches, from swordfish to lobster. Stuart’s active community hosts events throughout the year that are enjoyed by the town’s families, retirees, and everyone in-between. These community events include everything from the Stuart Street Dance to the Christmas Boat Show, with fun all year round. The Stuart Green Market and Live Music event is held weekly near City Hall, where residents often come together to enjoy time with friends. The Stuart Heritage Museum and the Road to Victory Military Museum are other popular attractions in the city, where the community prides itself on remembering the city’s past. Stuart’s wonderful location, between Palm Beach County and St. Lucie County, provides residents with a vast range of opportunities. These larger, busier counties have plenty of shopping, entertainment, and cultural opportunities for residents’ enjoyment. At the end of an exciting day, it is a unique pleasure to return to the city without the same hustle and bustle of its neighbors. Residents of Stuart are served by the Martin County School District. Schools in the area include South Fork High School, which is known for its great academic programs and champion athletics. There are also several private schools in the area, for families who prefer an alternative to the public education system. 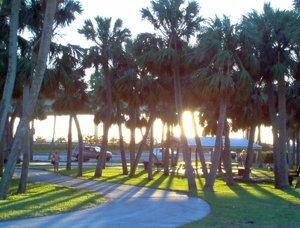 Stuart is a piece of seaside paradise in Martin County. This small coastal town is home to a wonderful and friendly community that makes everyone feel at home. The town’s diverse real estate and range of activities make it perfect for everyone, from young families to retirees.